Strung in an ombré fashion, these drop earrings are sure to make a statement. 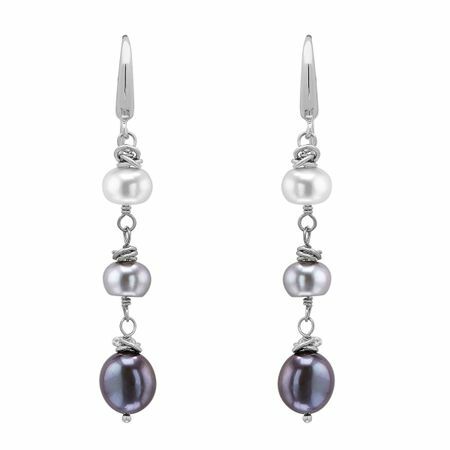 White, grey, and black pearls, ranging in size from 7-11 mm, are strung on a sterling silver chain with intricate beading. Earrings measure MEASUREMENTS and feature French wire back findings.